If your day starts and ends with coffee, get this made as a custom vinyl wall sticker. And you can always replace it with tea if you are a tea person. An inspiring yet nerdy quote can be the way to go for the geek in you. Get this vinyl sticker print made for your wall. A little humor can do wonders to boring office space. Besides, everyone loves Frdays. Wonder what’s your favorite first F word? Lotus signifies beauty and serenity. 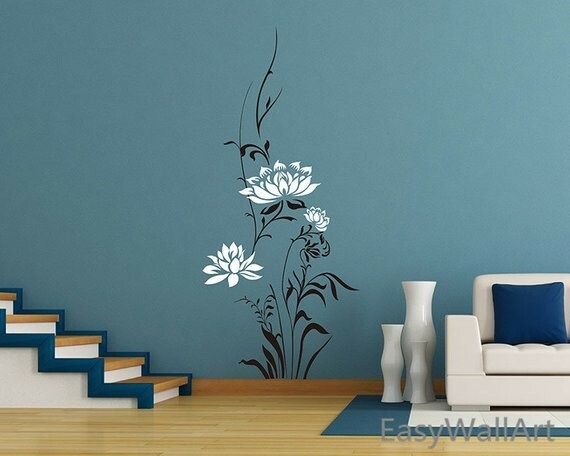 A plain colored wall with this beautiful lotus flower wall sticker can make all the difference to the ambiance of a room. 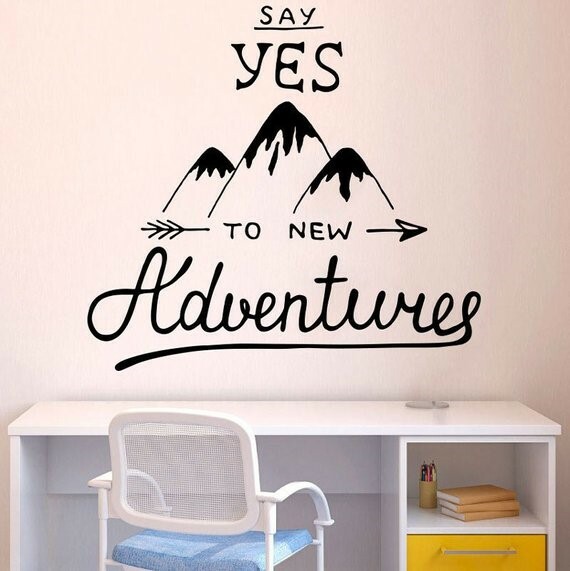 This vinyl wall sticker is for all the adventurers out there caught in the workplace. Nothing is more powerful than an idea whose time has come, said Voltaire. What an inspiring quote! This is WeWork’s credo, displayed on a wall. On the wall of Uber’s office. Strive to be the best version of yourself every day. A perfectly motivating quote to lift spirits. Just the reminder that we need everyday! Since the season of Christmas is almost upon us, this will make a great sticker on your wall. And why stop at Christmas? The great thing about custom wall stickers is that you can change them with the season. What do you have in mind for your office space? What do you think would brighten it up? Custom Vinyl Stickers are easy to install, maintain and remove. Drop in an email at sales@gumtooStickers.com and we will get in touch with you to create the perfect custom wall sticker to spruce up your office walls.